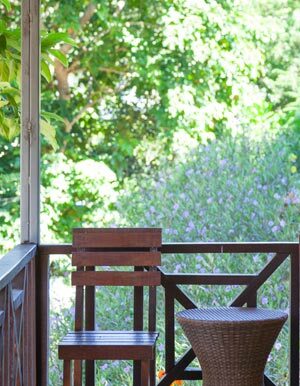 The Standard Rooms are situated amongst the mature trees and gardens and feature a large terrace to enjoy the pleasant green views. 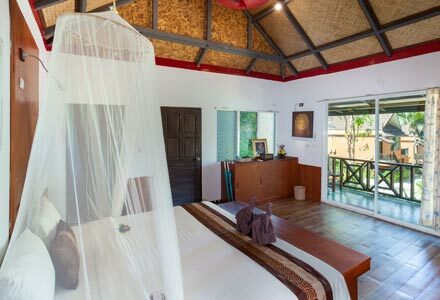 The 22sqm air-conditioned rooms at our hotel in Long Beach, Phi Phi have an attractive exposed beam ceiling giving a sense of spaciousness and greater airflow. The room amenities add comfort to your stay including soft bathrobes, bath products, flat screen television and hot drink making facilities.